I have to confess to finding St Pauls a much more interesting proposition than some of the other stops on the Metro. Possibly my lifelong fascination with the Snow Hill site somewhat clouded my judgement but I still feel it is an intersting site. 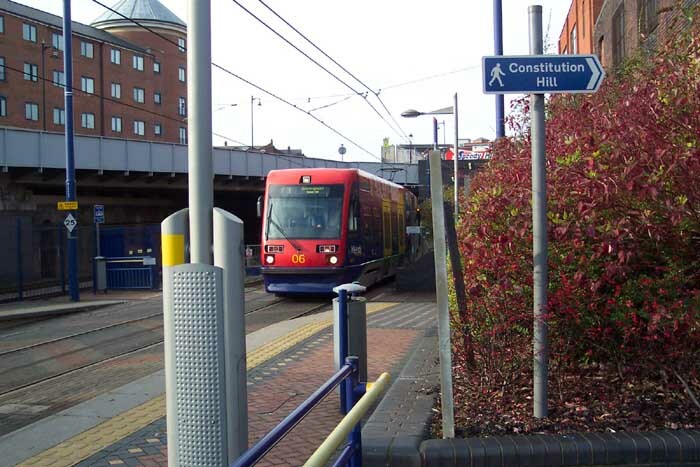 Above we see the entrance to the stop on Constitution Hill. 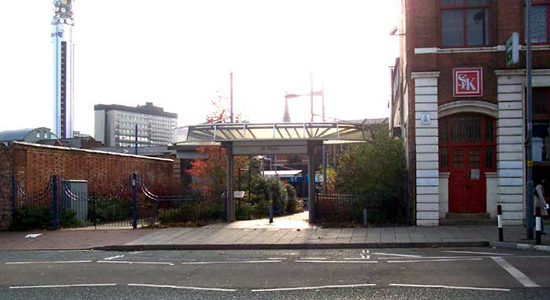 Above-left we see the walkway leading from Constitution Hill to the stop itself. 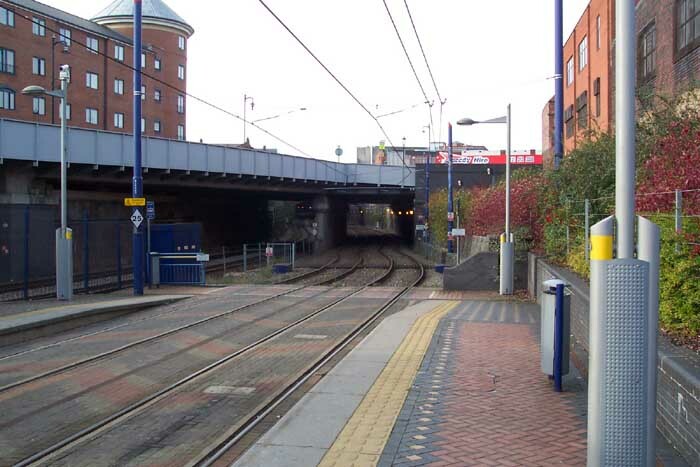 The area immediately infront of where I was standing used to be occuppied by sidings and buffer-stops in the days of the Old Snow Hill station as to all intents and purposes, this area still formed part of that station's site. 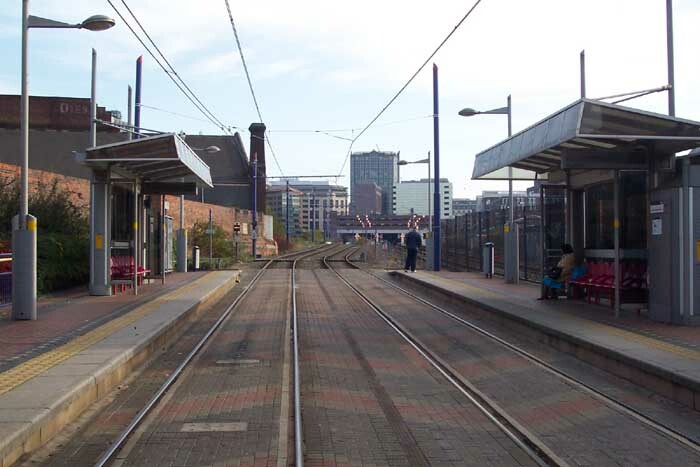 Above-left we are on the Wolverhampton platform looking back towards Snow Hill which can be seen in the distance. 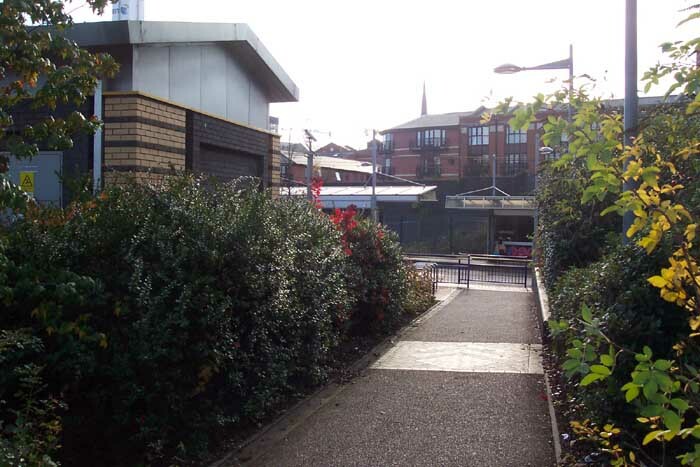 The entrance pathway we saw above can be seen in this view emerging to the left of the photograph on the Snow Hill platform. Above-left I am standing in the middle of the trackbed to give a better perspective on the view towards the current Snow Hill station. Above-right I am on the Snow Hill platform looking through the bridge/tunnel carrying Livery Street over the ex-GWR lines. 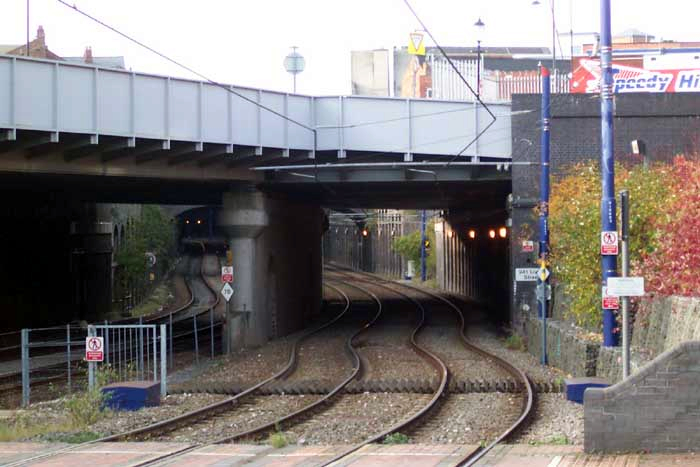 Above-left is a closeup of the previous shot showing better the collection of bridges and short tunnels through which the lines travel to emerge at what now is the Jewllery Quarter Metro stop but once was Hockley station. 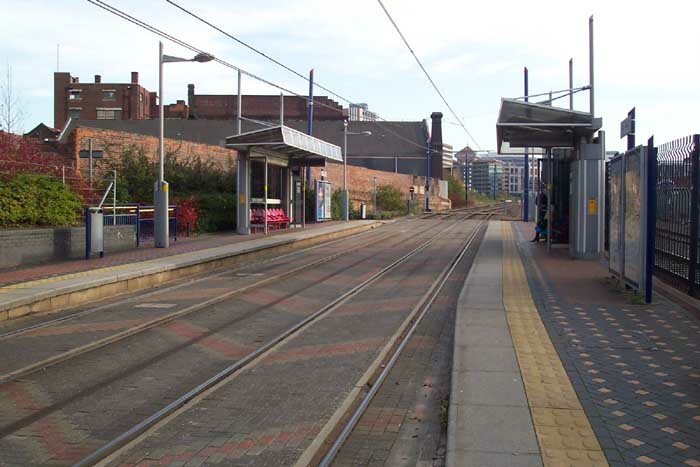 Above-right we see a Snow Hill-bound tramcar pulling into the stop.